Since January 1, 2004, all Canadian organizations engaged in commercial activities have been required to comply with the Personal Information Protection and Electronic Documents Act (“PIPEDA”) and the Canadian Standards Association Model Code for the Protection of Personal Information incorporated by reference into PIPEDA. These obligations extend to lawyers and law firms, including DGBPC. Lastly, as a professional services firm, the lawyers and staff at DGBPC have professional and ethical obligations to keep confidential the information we receive in the context of a lawyer-client and agent-client relationship. In most cases, we obtain your consent to collect, use and disclose your personal information. 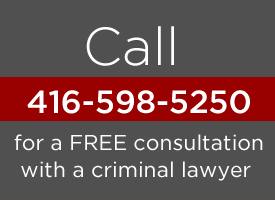 Usually, if you retain our Toronto law firm, we assume that we have your implied consent to our collection and use of your personal information, however, at times we may ask for your express consent, either verbally or in writing. Generally, we collect your personal information directly from you at the start of or during the course of your retainer with our firm. Sometimes we may obtain information about you from other sources such as a government registry or other professionals who serve you. We use your personal information to provide legal advice and services to you, to issue invoices and to maintain our database of clients. In addition, if you apply for a position with DGBPC, we will use your personal information to assess your candidacy. Lastly, we may use your contact information (name, e-mail and postal address) so that we may communicate with you about recent developments in the law, keep you abreast of DGBPC news and invite you to our firm events. DGBPC uses various safeguards to ensure that your personal information is protected against loss, theft, misuse, unauthorized access, disclosure, copying or alteration. These include: security of our physical premises; our professional obligations; security software and firewalls to prevent unauthorized computer access or “hacking”; and internal passwords that restrict access to our electronic files. You have a right to challenge the accuracy and completeness of your personal information and to have it amended, as appropriate. You also have a right to request access to your personal information and receive an accounting of how that information has been used and disclosed, subject to certain exceptions prescribed by law. For example, if the requested information would reveal personal information about another individual, your request for access may be limited or denied. If your request for access is denied, DGBPC will notify you in writing of the reason for the denial. To request access or to amend your personal information, please contact the lawyer or agent with whom you normally correspond or write to our Privacy Contact at the address below. [Firm name] will respond within thirty (30) days of receipt of your written request. DGBPC will respond to inquiries about its policies and practices relating to its handling of your personal information. Inquiries should be directed to DGBPC’s Privacy Contact using the contact information below. DGBPC will investigate all complaints and will respond within 30 days of receipt of a written inquiry. If the complaint is found to be justified, DGBPC will take appropriate measures to resolve it, including, if necessary, amending this Policy and its procedures. All use of this website www.davidgbayliss.com is subject to the following Terms and Conditions. If you do not agree with these Terms and Conditions, please do not access or use this website. These terms may be changed by David G. Bayliss Professional Association [DGBPC] at any time without notice. Your use of the website constitutes your agreement to be bound by these terms. The materials provided on this site are for information purposes only. These materials constitute general information relating to areas of law outlined on the website. They do NOT constitute legal advice or other professional advice and you may not rely on the contents of this website as such. The contents of the website do not necessarily represent the opinions of DGBPC or its clients. If you require legal advice, you should retain competent legal counsel to advise you. If you would like to retain DGBPC and we will be pleased to discuss whether our firm can assist you. A solicitor-client relationship will arise between you and our firm only if we specifically agree to act for you. Until we specifically agree to act for you on a matter, you should not provide us with any confidential information or material. DGBPC does not guarantee the confidentiality of any communications sent by e-mail or through its website, or left in voicemail messages on firm telephones. Unsolicited information and material may not be treated as confidential and will not be protected by any solicitor-client privilege. Accessing or using this website does not create a solicitor-client relationship. Although the use of the web site may facilitate access to or communication with DGBPC by e-mail or voicemail, receipt of any such communication or transmissions by any member of DGBPC does not create a solicitor-client relationship, unless our firm agrees to represent you. Although DGBPC has made reasonable efforts to ensure that the materials contained on this site are accurate, it does not warrant or guarantee: the accuracy, currency or completeness of the materials; that the site will be available without interruption, error or omission; that defects will be corrected; or that the website and the server(s) that make it available are free from viruses or harmful components. The website and the materials provided on the website are provided “as is” and “as available” without representations, warranties or conditions of any kind, either expressed or implied. DGBPC will have no liability for any damage arising from the misuse of any information provided on this website. The information provided on the website is not legal advice and should not be relied upon as such. Doing so without seeking the advice of legal counsel constitutes a misuse of the information. Copyright and Trade MarksThe copyright in this website and its contents is owned, or licensed by DGBPC. This website, as a whole or in part, may not be reproduced without the express prior written consent of DGBPC. To obtain such consent, please contact DGBPC. DGBPC acknowledges and appreciates links to its website. Links should go directly to the homepage at www.davidgbayliss.com. Linking directly to other pages within the site or framing content on the site is prohibited without the prior written consent of a representative of DGBPC. The DGBPC website has been designed to be a resource for information on matters that might be of interest to current or potential clients. As a result, there are links throughout the website to third party sites. These links are provided for convenience only, and do not mean that DGBPC endorses or recommends the information contained in linked websites, or guarantees its accuracy, timeliness or fitness for a particular purpose. DGBPC takes no responsibility for the content or practices of third party sites.